How time flies! Since the last blog entry, Emmanuel Macron has been elected President and the pro-Juppé former mayor of Le Havre, Edouard Philippe, named Prime Minister at the head of a broad-based government comprising heavyweights from the PS ( Jean- Yves Le Drian, Gérard Collomb), middleweights from LR (Gerard Darmintin and Bruno le Maire) and various members of ‘civil society’ with impeccable professional credentials, but who must be considered as lightweights in terms of their former political experience. On May 7, there was a mild controversy over whether Macron had been well-elected or not. His victory had been announced in advance (no opinion poll gave him less than 58% on the run-off), but it was more comfortable than initially imagined (in the proportion of two-thirds/one-third). The metropolises and sizeable cities overwhelmingly voted for Macron; 85% in Lyon, 83% in Marseilles, almost 90% in Paris, 78% in Lille (against just over 50% for the department of the Nord as a whole). The small towns and countryside voted for Marine Le Pen – in places, at least. The geographical fracture widely commented on the first round was repeated, though only 2 departments in mainland France gave Marine Le Pen a majority. Still, with over 10 million electors, Marine obtained the best score ever for the FN – and more than doubled the total number of votes by comparison to her father in 2002. Emmanuel Macron polled over 20,000,000, well ahead of Sarkozy in 2007 and Hollande in 2012. Only around 40% of Macron electors declared in post-election surveys that their vote was motivated by explicit support for the new President, and optimism for the programme or the candidate rather than a rejection of the Le Pen alternative. The record abstention rate (51.3%) on the first round of the parliamentary elections on June 11th confirmed the sense of unease. The main argument in this blog entry moves on from attempts to define the meaning of Macron to consider one of the paradoxes thrown up by the 2017 contest. One of the core themes in post-electoral analyses has highlighted the crisis of party politics, with the governing parties of the Fifth Republics – Gaullist and Socialists – relegated to the second division, or at least not winning through to the second round. At the same time as the old world of left-right partisan politics has appeared to be crumbling at the edges, two key mechanisms of presidential power have reaffirmed their pertinence: the confirmation election and the presidential party. 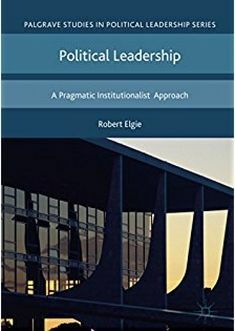 The parliamentary elections are chiefly interesting in that they provide mechanisms of institutional continuity in the midst of great political uncertainty and change. The first of these mechanisms is the confirming election (election de confirmation). Since the 2000 constitutional reform and the inversion of the electoral calendar, there has been a powerful institutional incentive to provide the victorious President with the ‘means to govern’, by way of a large parliamentary majority. Of course, the presidential call for the ‘means of to govern’ precedes 2002; most notably, in 1981, when victorious Socialist President Mitterrand called on the people to ‘give me the means to govern’ and implement the 110 propositions, his presidential programme. But the relationship has become more mechanical since the 2000 reform changed the order of the electoral contests to ensure that the ‘decisive’ presidential election came before the ‘confirmatory’ parliamentary contest. Certainly, the figures have produced rather different variations of the presidential bonus since 2002, but on each occasion, a party with a plurality of votes on the first round achieved an absolute majority of seats after the second: the UMP in support of President Chirac in 2002, the UMP for Sarkozy in 2007 and the PS for Hollande in 2012. The first round of the 2017 parliamentary election spectacularly confirmed the trend: with 32.5% of first round votes, LREM is well on its way to obtaining the overall parliamentary majority called for by President Macron (estimates range from 390 to 430 seats after the second round). The flip side is that this Herculean majority, elected to support a Jupiterean President, was based on a record low turnout (48.7) for a parliament election. The confirming election is implicitly based on a lesser popular mandate (hence legitimacy) than the decisive presidential contest, though this distinction is nowhere formally recognised. The second mechanic is the return of the presidential party, or the majority elected primarily to support an incumbent President. True, the presidential party is a contested concept, most notably on the left of French politics, where many Socialists never really bought into Mitterrand’s instrumental marriage of the incentive structure of the presidential institutions and the revival of party fortunes. And certainly, no presidential party was ever the same. De Gaulle’s UNR had facets of a personal rally to a leader vested with a particular historic legitimacy, but it collapsed once the General had gone. Valery Giscard d’Estaing’s attempts to build the Independent Republicans/Republican Party into the cornerstone of his Union for French Democracy (UDF) never really succeeded. In an earlier version of the irreconcilable forces on the French centre and right, the UDF managed to balance the Gaullist RPR for a while, but failed to provide the bedrock of parliamentary and political support required to underpin the Barre government (1976-81). Giscard d’Estaing’s failure to build a cohesive presidential majority undermined the cohesion of the 1974-81 mandate. And contrast the record of Mitterrand’s two terms. The election of a PS majority to back the President one of the core features of the 1981 elections. Though it was never easy with the Socialists, and though divisions within the party were also apparent in 1981-83 (especially over the aftermath of the u-turn of 1983), the political resource represented by an overall majority ensured that Mitterrand got his way – even in terms of a highly contested reform of the electoral system for the 1986 parliamentary election. Contrast this situation with that post-1988: victoriously re-elected President, Mitterrand failed fully to capitalize in the ensuing parliamentary elections. The period of minority Socialist government under Rocard relied heavily on the use of article 49, 3 to undertake a governmental programme and, quite simply – survive and govern without a real majority. The UMP (2002-2012) reverted to form: the party of the ‘right and the centre’ was largely ignored by the successive Presidents (Chirac, Sarkozy) who saw its main function as being to organize the President’s supporters in parliament. Macron’s coronation is not complete without the presidential majority that he has called for – and that he looks supremely well placed to deliver after the second round of voting on June 18th. The confirmatory election will thus have contributed to the election of a presidential majority under the colours of LREM, to support President Macron. The third dimension takes the form of an unwritten rule, rather than a proper mechanism; the size of the presidential majority might shape the behavior of the pro-presidential majorities when elected. Recent evidence from the Hollande period illustrated the dangers of lacking a genuine majority; from the outset, the frondeurs made the President’s life a misery and undermined the effectiveness of his governments. One would not wish such a fate for Emmanuel Macron. On the other hand, a large majority, returning deputies will no parliamentary experience, will produce its own form of tension. The danger for Macron might lie in the return of an overwhelming majority. The newly elected President will be well advised to keep the MODEM on board and prolong the coalition with the Macron-compatible elements of the PS and LR whatever the final outcome on June 18th 2017. This entry was posted in Europe, France and tagged France, Macron, parliamentary elections on June 13, 2017 by Alistair Cole.